The Blue Ribbon Craft Beer Fest is back! The Blue Ribbon Craft Beer Fest is comming back to the VA State Fair on October 6, from 2 p.m. until 7 p.m.! Attendees will receive a souvenir tasting glass and enjoy unlimited 4 ounce tastings from Virginia craft breweries. Interact with owners, brewers and representatives from throughout the commonwealth and enjoy their fantastic products while listening to live music. Just outside the Fest tent lies all that the State Fair has to offer, from animals and veggies to cotton candy and Ferris wheels. All Fest ticket holders must be 21 years of age or older and show valid ID before receiving a wristband and tasting glass. Non-drinking attendees and those under 21 may accompany Fest ticket holders into the tent but will not receive a tasting glass. Participating breweries will be independent, small, commercial breweries from Virginia. Virginia’s farm breweries will also be prominently featured. Each brewery will offer a sessionable beer, one with a lower alcohol content or an easier drinking version, and one of their flagship brews that defines their craft. Many include local and organic ingredients. Malt, honey and hops producers from Virginia will also be part of the Fest. If purchased in advance, tickets are $30 AND INCLUDE GATE ADMISSION TO THE STATE FAIR. AFTER SEPTEMBER 27 at 11:59 pm, TICKETS ARE $25 AND DO NOT INCLUDE EVENT ADMISSION. (tickets available for sale at the event pending availability). CLICK HERE to purchase your advance tickets! Join us for an amazing day of CRAFT BEER, Music, Food and Fun. The gates open at 11:00 AM so come early and stay late to enjoy all the day has to offer! Last call is 4:30 PM and taps will close at 5:00 PM. We will have craft brewers from all over the region sampling (80 Samples) some of their award winning beers. They will be pouring some of your favorites as well as a sneak peek in to what will be on tap for 2019. Live Music acts will take the stage throughout the day!!! Bring your friends, family and join us for Fredericksburg’s premier BEER event! This event supports Community Outreach Inc.
BBQ, BANDS, & BREWS! What more do you need? Don’t miss Shenandoah Autumnfest on Oct 13 from 11:30 am – 5:00 pm at the Shenandoah County Fairgrounds in Woodstock, VA! The Instigators Live, Artisans & Craft Vendors, Cruise-In Auto show, Log Splitting competition …and much, much more! General Admission Ticket Online: $8 (Tickets at the Gate-$10)- includes admission, BBQ tastings, Harness Racing and more. Tasting Ticket Online: $20 (Tickets at the Gate-$25)- includes admission; Harness Racing; and 30+ craft beers, spirits, and BBQ tastings. Saturday, October 20th, 2018 for a day of live music, local brews, local merchants, local food trucks, and camping; all for a great cause. This is a one day festival which includes great LIVE music, LOCAL brews from 10 Virginia craft breweries, AWESOME food, merchendise and more, plus camping, and all to benifit a great cause. Designated Drivers tickets are $20. 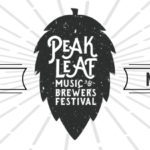 All Day Music tickets (allows for beer purchases) are $35, Beer Tasting tickets (unlimited beer tastings) is $40, and Camping for Saturday night is additional $50. FREE parking availible on site. We strongly recommend all participants to have a designated driver with them. There is no charge to leave your vehicle overnight with us. Camping is another great option to consider! PLMBF is a 501(c)(3) non-profit corporation and a portion of the proceeds will go towards providing schools meals for underserved students in Frederick County area. 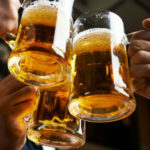 Over 100 craft beers from over 50 breweries will be available for sampling at the Virginia Beach Craft Beer Festival. Tickets include unlimited sampling, a commemorative cup, and live entertainment. The Virginia Beach Craft Beer Festival will be held from 1:00pm-6:00pm each day. Visit www.beachstreetusa.com for more information. 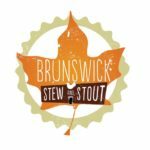 Stew masters from across the mid-Atlantic region and brew masters from across the Commonwealth will come together at the 17th Farmers’ Market in Richmond for this annual event. Stew will be available for the sampling and toward the end of the event quarts of stew will be available for purchase to take home. You can also vote for your favorite in the “Best Stewmaster” competition. There will be amazing brews from across Virginia, some of the best stews you’ve ever had, great live music, a children’s play area, and a craft marketplace featuring locally-made goods from across the state. Make sure you get there early before the quarts run out! Feel free to bring lawn chairs – there will be live music and tents to kick back under, as well as a Chair Check service. Your four-legged friends are welcome – must be socialized and leashed. This event is free to attend. Food and beverage are available for purchase.